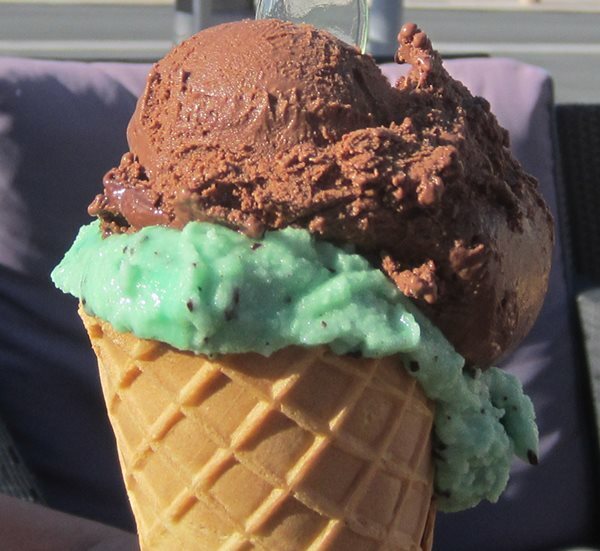 Yes one of the biggest ice cream days of the year has finally arrived - 4th July. It seems more people make ice cream for 4th July celebrations than for any other time of year. Don't believe me? Check it out on this culinary blog post entitled 'Ice Cream For Jefferson & 4th July'. If you follow the link it will also provide you with a FABULOUS Rocky Road ice cream recipe - I know it's good because it's one of my own! If you don't feel like making ice cream today, that's OK .... just don't deny yourself of the pleasure of eating some though! Just go out, find a great ice cream parlor and grab a delicious ice cream cone like the one pictured here (chocolate and mint choc chip ice cream). Delicious!.